Cameo is one of my favorite brands (more like any Australian brand) and this dress caught my eye because of the dreamy cracked marble print. 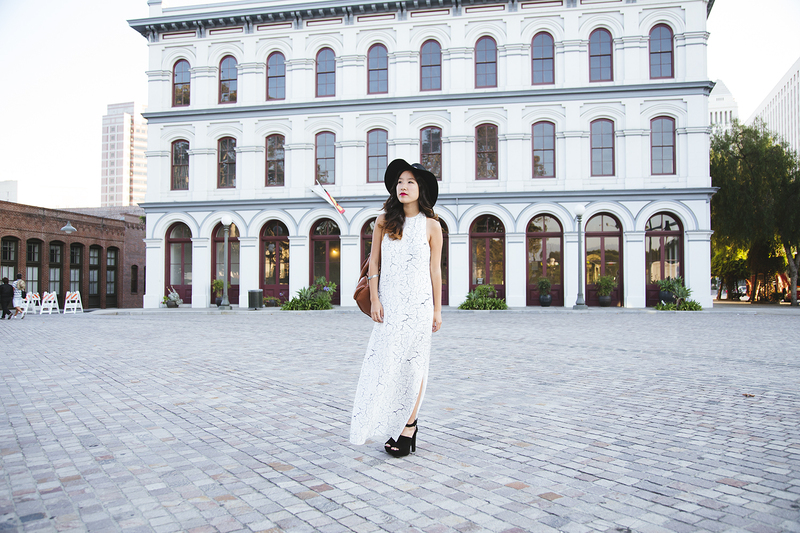 I loved the discrepancy between the harshness of a cracked marble on a feminine flowy maxi. I threw on a backpack I found at the Fashion District for $20 and a concho hat to dress down the entire look and give it more of an urban edge. Thank you maxi dresses with side slits for preventing all the contact I would've had with the floor from tripping over myself. I haven't heard of Cameo but this dress is beautiful, love the print! Love the dress, and nice hat! Hey! I love your style here! Seems everything is so effortlessly well match! Thank you for your comment, keep posting! You look great as always! Love the location there too! You look stunning, love the maxi and the neutral print.... The photos are beautiful. OMG! you are so perfect! love your outfit from head to toe! and your backpack too. it's kinda my favorite! it would be nice if you followed me too!